The Center for Youth and Family Solutions matches individuals and group volunteers with seniors who need them – providing volunteer companions to visit, work a puzzle, read, or take a stroll. Sometimes seniors need a little help with meal planning, reminders for appointments, or a ride to a doctor visits. Compassionate volunteers are matched with seniors to provide consistent companionship and needed help. 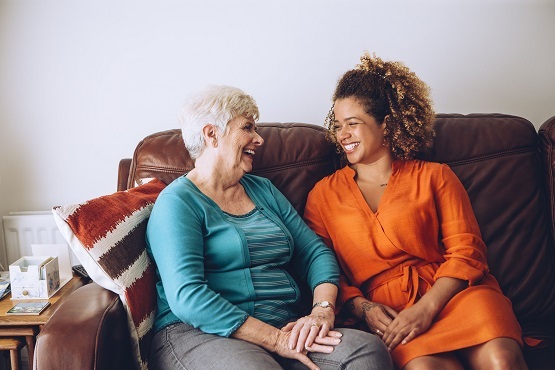 Companionship: visiting in-person or by phone, discussing current events, recording family history, playing cards, or watching movies improve a senior’s quality of life. Safety and Health: preparing grocery lists, arranging appointments, leaving important reminders to help seniors stay healthy & safe in their own home. Transportation: escorting to doctor appointments, religious services, club meetings or hair salon or barber, going shopping and running errands can make a big difference in a senior’s day. Socialization and Community Involvement: planning outings and trips, visiting neighbors and friends, write letters and e-mails, going out for lunch, or seeing a play or concert are just some of the ways you can socialize with seniors through this program. For more information, contact Sue Hirschman, the Volunteer Coordinator at (309) 323-6632. Please list three (3) professional and/or personal (not including relatives) references with complete address and phone below. References remain confidential. By completing this form you are giving The Center for Youth and Family Solutions permission to contact the references listed.